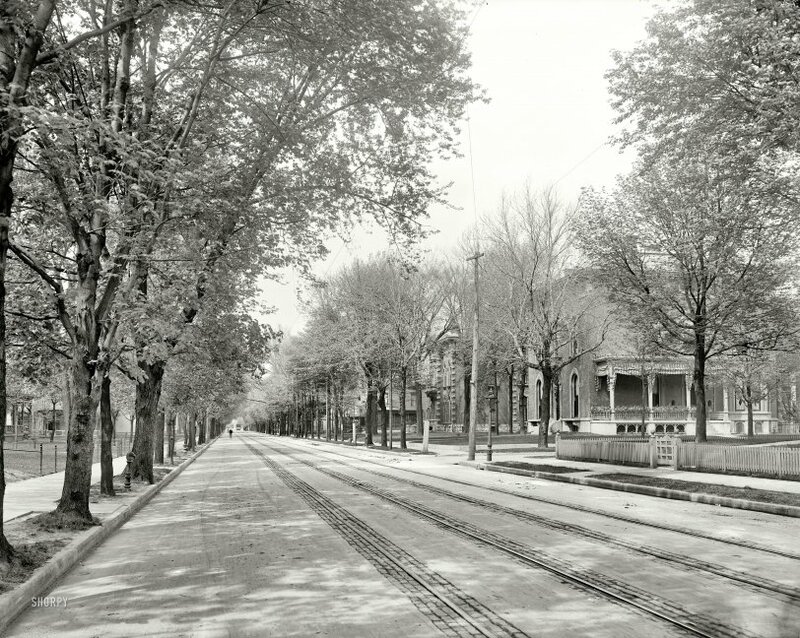 Indianapolis, Indiana, circa 1904. 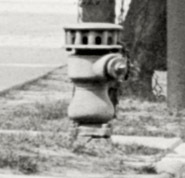 "North Pennsylvania Street." There's not much going on here, which maybe is part of this picture's charm. Lots of hitching posts, though. 8x10 inch glass negative, Detroit Publishing Company. View full size. Submitted by ddeedavis on Tue, 07/10/2012 - 2:22pm. This is a view of Pennsylvania Street at 11th St. The first house on the right was the residence of Nathan Neeld. Neeld was an employee (and son-in-law) to James C. Ferguson who owned J.C. Ferguson & Co., a meat packing company in Indianapolis. James C . Ferguson built exact matching homes for his two daughters (and employee sons-in laws). 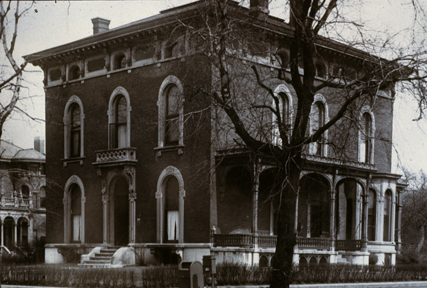 This one was 1109 N. Pennsylvania the other (residence of Edward B. Howard) was located at 425 N. Pennsylvania St. Both were probably designed by architect, D.A. Bohlen. -Old houses in Indiana. Houses in Indianapolis and Marion county by Agnes McColloch Hanna p. 27,29. "The magnificence of the Ambersons began in 1873"
Submitted by Walter Sobchak on Mon, 07/11/2011 - 12:27pm. 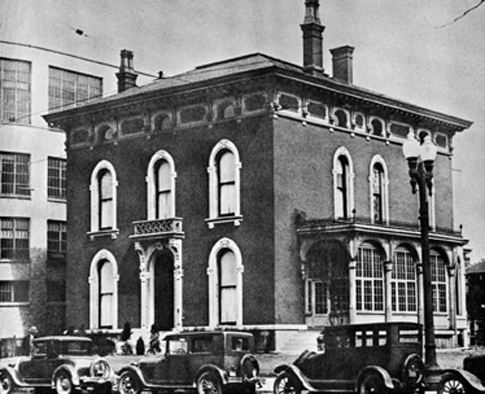 One look at this picture immediately brought to mind Orson Welles voice narration of his mutilated masterpiece, "The Magnificent Ambersons," which takes place in Indianapolis as the automobile begins to change the urban landscape, in particular a wealthy neighborhood such as that in the photo. The streetcar tracks even reminded me of a line from the movie, which seems very fitting for many of the pictures shown here, but is about the old horse-drawn streetcar: "Too slow for us nowadays, because the faster we're carried, the less time we have to spare." Submitted by Larc on Sun, 07/10/2011 - 1:15pm. if that's what it is. I don't recall ever seeing one like it.